The quick money you get from tax loans is useful in many ways. When you need to get that refund cash sooner, these loans provide it. There are plenty of things you can do with the money, and maybe you already have it earmarked for something important. But if you don’t, here are some ideas for spending tax loans and tax refunds in 2019. Tax loans and refund money are great for making long-term investments. It’s a little bit like extra money, even though refund cash is actually owed to you, so why not use it to really invest in your future? Continuing your education, with a training course, a college class or even a degree program, could help you get a better job, a new position where you currently work, or a raise. The quick money you can get from tax loans can be put to use immediately for your tuition and other costs, like books and class fees. Tax loans can provide you with quick money, unlike your actual refund. Especially with the government shutdown that occurred earlier this year, refunds can take a while to arrive. You may be facing extra delays, but tax loans can provide quick cash that you can use for pressing financial issues. Use it on late bills, or bills that are about to be late to avoid more costs in late fees or bank overdraft fees. Tax loans take just about 24 hours or less to fund. 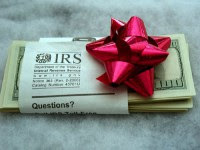 A great way to spend a tax refund is making your finances more streamlined. If you have debt from multiple sources, like a lingering car payment, credit card debt, or student loans, that one chunk of cash can help you consolidate them. Pay off one or more sources of debt with the cash from tax loans and you’ll have fewer payments each month. This means less interest, a lower risk of forgetting and making a payment late, and ultimately it means you save money and stress. If you own your own home, use the quick money from your refund or tax loans to make some improvements. It will make your life better and increase the value of your home. If you rent, take the cash and put it toward moving somewhere better. It can provide the down payment or first and last month rent you need to get out of your current rental. Of course, there is something to be said for spending on you just for the sake of it. You may not want to blow all the refund or tax loans cash on a treat, but don’t you deserve a little something? You work hard, after all. So treat yourself to a new pair of shoes, a nice dinner, or quick weekend trip. It’s your cash to spend as you see fit. Online Tax Loans To The Rescue! 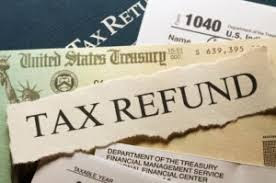 That tax refund would be the ideal way to pay for a medical expense or a broken air conditioner, but we know it doesn’t do you any good to wait on the IRS. Bill collectors and repairmen and don’t accept late payments and neither should you! Use an online tax loan today to get YOUR money now. You don’t have to sit around waiting for your tax refund to make decisions – an online tax loan can turn tomorrow’s problems into today’s victories. 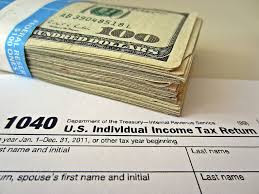 No one wants to wait weeks and weeks to fix the leak in the bathroom, or to replace a fridge full of ruined food, and online tax loans allow you to take care of necessities without relying on the government to send you your tax refund. Online tax loans were developed to help you enjoy life without sitting around waiting! 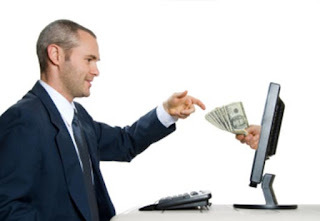 The greatest part about an online tax loan is that it’s money you know you are going to spend anyways – you just don’t have to delay cashing it in. Are you over watching your friends enjoy traveling and taking vacations all the time? Would you relish in escaping to the mountains during summer’s warmest months? With an online tax loan, you can afford a needed vacation way before the IRS sends your tax refund! Don’t lay around waiting on the IRS to mail your refund check – apply online for a tax loan and go on wherever you want whenever you want! It makes no sense waiting around when you could use an online tax loan to enjoy life today! Don’t wait another minute for your refund to show up in the mail. Treat yourself today to a nice meal or vacation – using an online tax loan. Take control of your finances, your year, and your happiness. Online Tax Loans Are SO Simple – Almost Anyone Can Qualify! While some customers prefer to borrow money from their bank, strict rules and requirements are becoming very common in today’s economic climate. Banks are increasingly turning to large business and away from individual consumers. It’s impossible to have anything less than stellar credit, and most banks require high credit to even apply for a loan. Also, applying for a loan with your bank can sometimes hurt your credit if they pull a report. You should skip the worry and apply for an online tax loan today! 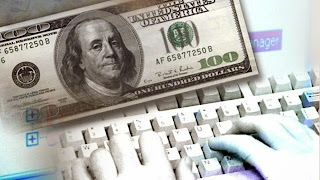 All you need is to be an 18 or older US Citizen, a bank account, a job to be approved for an online tax loan. You could have money in your bank account in no time and you don’t even have to leave your house with an online tax loan. Our tax loans are here to help you get YOUR money faster. Don’t wait any longer. Get your hands on your own money with an online tax loan today and never wait on the bank or the government again.